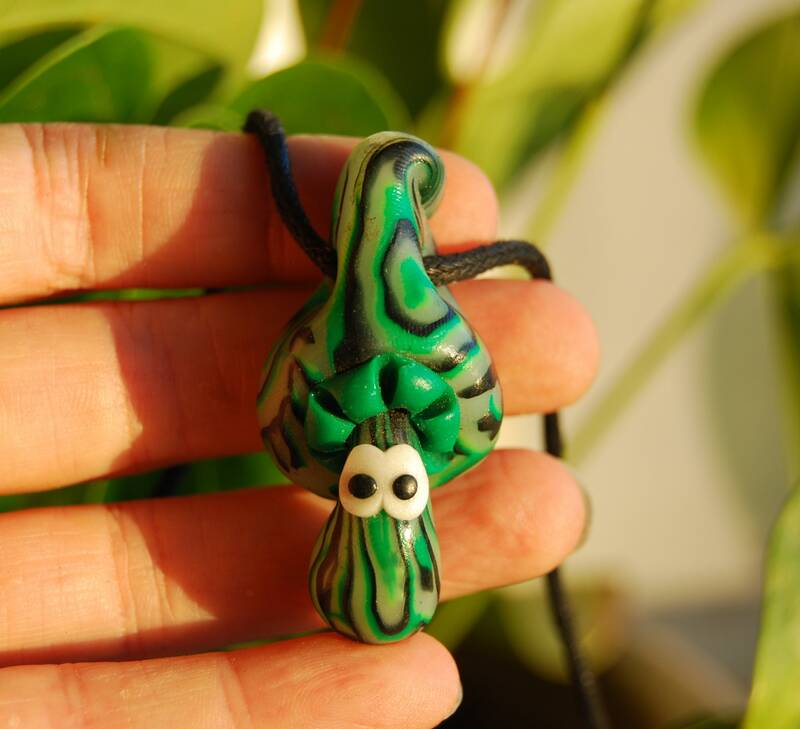 This cool mushroom dude is handsculpted with uv blacklight reactive clay. It also has some glow in dark accents as well. 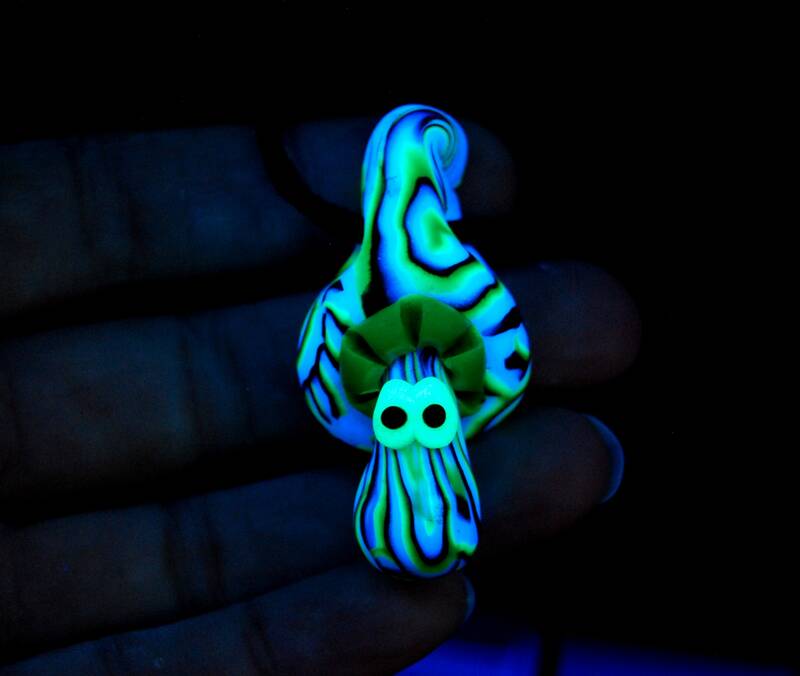 The colors really pop out under a blacklight. 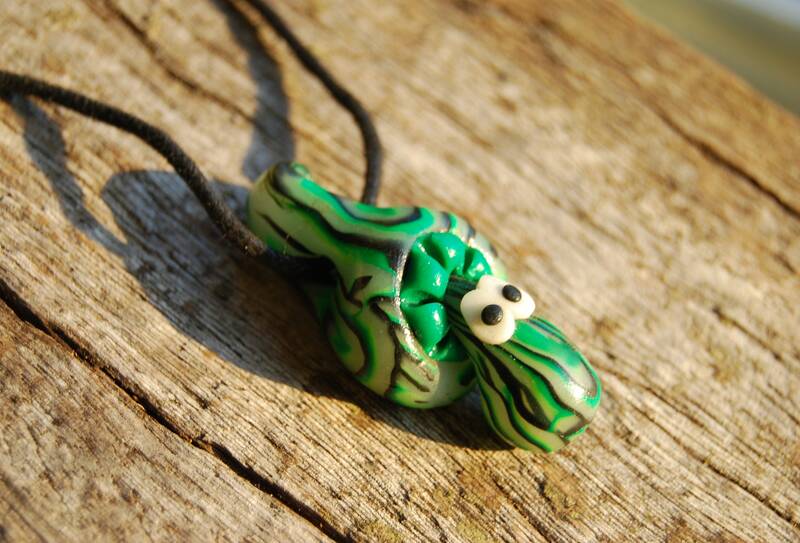 It comes on an adjustable strong cotton cord. Made with durable clay. Size is approx. 5 cm / 2 inches.